Don’t you hate when editors use “I don’t know enough writers of color” as an excuse to back up the homogeneity of their publications? We do too. Here’s a fix, brought to you by Durga Chew-Bose, Jazmine Hughes, Vijith Assar, and Buster Bylander. Need someone to cover politics? Here you go. A correspondent in Chicago? We’ve got you covered. 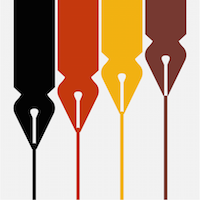 We aim to create more visibility for writers of color, ease their access to publications, and build a platform that is both easy for editors to use and accurately represents the writers. The response so far has been overwhelming (thank you!) and we welcome further feedback from both camps, but please realize that this site is run by volunteers and is a work in progress. We still need help fixing mistakes and keeping things running smoothly. Email us if you’re interested in lending a hand, or have suggestions, or just to say hello. If you are hiring, taking pitches, or trying to fill freelance slots, let us know and we’ll retweet you. We also maintain a public Twitter list of all our writers, and we’ve shared the code behind this site on GitHub in case you’d like to set up something similar for a different group or industry.